The College of Health Sciences and Nursing recently hosted Visiting Professor Dr. Amanda Phelan, associate professor and associate dean for global engagement for the School of Nursing, Midwifery & Health Systems at the University College Dublin (UCD). Phelan also serves as the co-director for the National Centre for the Protection of Older People at UCD. While on campus, Phelan presented on nursing education, health care and public health systems in the Republic of Ireland. 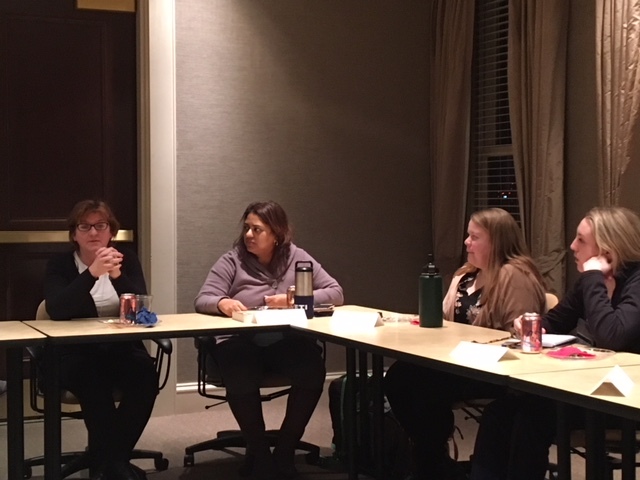 She met with students and faculty interested in international collaboration and scholarship and discussed special challenges associated with the Republic’s aging population, as well as her own research in the area of elder abuse and protection. Phelan provided an overview of Sláintecare, a newly proposed model of care for Irish citizens. Said to be a radical transformation from traditional models, Sláintecare is designed to shift care out of hospitals and into the primary care, community setting. Phelan will be working with Belmont students participating in the upcoming Public Health and Public Health Nursing Maymester trip.